Contract law has evolved into an immensely complex component of our modern legal system. 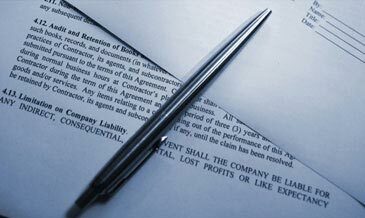 Although many types of contracts can be handled in the routine course of business, as contracts increase in size, scope, value or complexity, the need for competent legal advice also increases. The rights, duties, responsibilities and obligations of all of the parties to a contract must be clearly outlined. Ideally, a reasonably intelligent and objective third party should be able to independently review a contract and generally comprehend its terms, conditions, and provisions. Our goal is to help you to reduce risk and minimize litigation. Contact our office today for a free consultation regarding your contract law questions, (360) 755-0111.